Sit back, relax and stay a while at TownePlace Suites St. Louis Fenton. Conveniently located just off Highway 44, our hotel near St. Louis puts guests within reach of The Gateway City's top attractions, including the Gateway Arch, St. Louis Zoo, Six Flags, and Hidden Valley Ski Resort! Check into the suite life in spacious suites with all the comforts of home, including separate living and sleeping areas, and full kitchens with brand new appliances. After a sound night's sleep on premium, pillow-top mattresses, begin your day with hearty morning favorites at our complimentary hot breakfast. Keep up with your active lifestyle with cardio machines & free weights in our 24-hour fitness center or enjoy a leisurely swim in our outdoor pool. Whether youre staying with us for the night, the weekend, the month or longer, our hotel in Fenton, MO is designed to provide everything you need to live life uninterrupted. 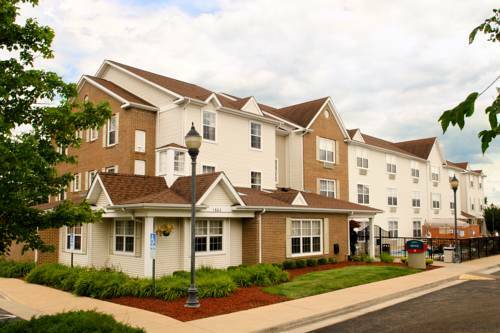 Discover why life on the road is more enjoyable at TownePlace Suites St. Louis Fenton!